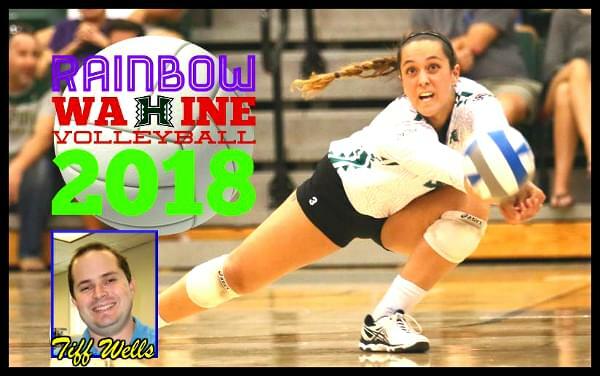 We sat down with ESPN 1420’s Tiff Wells, the voice of University of Hawaii volleyball, and got his thoughts about the team and the upcoming season. The Rainbow Wahine open the 2018 on Friday, Aug. 24 against Gonzaga. Once again, all of their matches will be aired live on ESPN 1420 or NBC Sports Radio on AM 1500. It’s not surprising. Last year, the team was only ranked during the first week of the season. After their 0-3 start, they dropped out [from the rankings] and never made it back into the Top 25. They beat pretty much every opponent they were supposed to beat, but they didn’t beat a single ranked team all season. I was not surprised to see them unranked at the end of the season. Preseason polls in any sport are nice to have, but they’re more for the media to discuss and talk about. For the players and coaches, I think they’re more focused on what’s at stake; they care more about playing better and peaking toward the end of the season. So you just take [preseason rankings] with a grain of salt. When you look at last year, the Rainbow Wahine went 20-8 overall. Six of those eight losses went five sets. So a major part of the offseason, I think, was to focus on better conditioning. I think the players have responded to that. It’s been reported that only a couple of players haven’t passed their conditioning tests. That’s a testament to the returnees, the incoming senior grad transfers and the incoming freshmen. They got together and all bought in. The culture and dynamic have changed. For Coach Robyn, Year 1 was tough. Looking back at that first tournament, two teams [UCLA and San Diego] were ranked. Hawaii started the season 0-3. Some teams with that kind of start, even if it’s Week 1, it can be an indication of how they’re going to play for the rest of the season. For Hawaii to respond and get to that 20-win plateau and get to the NCAA Tournament, those were important benchmarks. Coach Robyn and her staff did a good job plugging in three senior graduate transfers: libero Reyn “Tita” Akiu, opposite hitter Angel Gaskin and middle hitter Sarah Liva. They’re going to help, and I think fans are going to be excited to see them contribute. They’re not just on the roster to be there. Moving forward, you might see a change in how Coach Robyn recruits. They already have players coming in from Texas and Louisiana and the Midwest in the next couple of years. The scheduling is also slowly changing. Overall, from what she was given and what she was thrown into in Year 1, I think most of it was positive. I think the recruiting is changing. 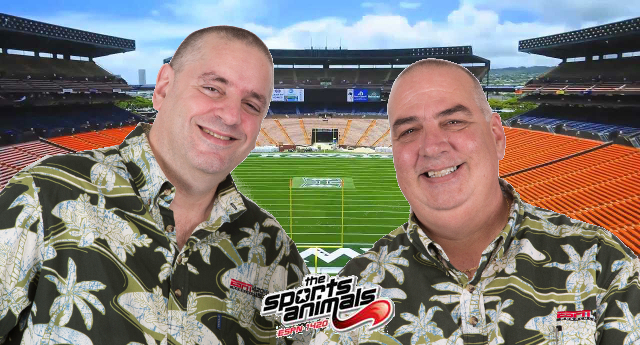 No disrespect to Coach Shoji, but if you look at the last couple of years, the roster was primarily made up of players from Hawaii and California. 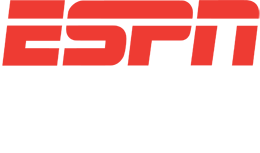 Robyn and her staff are branching out their recruiting, and with [assistant coach] Angelica Ljungqvist on the staff, the international recruiting will resume as well. This will only help the program. I think the coaches are looking for players who can help the program immediately. These senior graduate transfers, for example, are going to help right away. The biggest one will be libero Tita Akiu from Kamehameha. She played at Texas Tech and was an all-conference player her sophomore year. She’s a very good libero who should be able to step in for Savanah Kahakai, who graduated. With Tita, more than likely you won’t see a drop off at that position. She’s only here for one year, and she’s said that she wants to leave a legacy. That’s saying a lot for someone who’s only going to be here for this season. Then there’s Sarah Liva. She’s a dual-sport athlete out of Mililani. She started out playing volleyball at Portland State. For whatever reason, she came back home and played basketball for HPU. She’s a real athlete. Those are the type of players you’re going to see in the future for however long Robyn is the head coach. You’re going to see athletic players who can do multiple things. Sarah is a player, and she has the volleyball smarts. It could be a little difficult for her at first because she hasn’t played volleyball in almost three years. But she’s looked good in practice as well as the drills they’ve run in fall camp. Angel Gaskin is a transfer from Maryland. The coach there left the program, and she left along with a few other starters. Angel is going to be someone who will provide a lot more offensively on the right side. She’s a lefty. I can’t even remember the last time Hawaii had a left-handed player playing the opposite. She should be able to step in and contribute away. Trinity Castaneda is a highly regarded freshman recruit out of California. She could compete for the outside 2 position. More than likely, of course, McKenna Granato will be the No. 1 outside again, as she was last season. Then, there’s Kamalei Krug, a freshman out of Waianae. She went to Anuenue. She does have a brace on her knee, and she’s trying to get back to 100 percent. She’s looked impressive, but going from Division III in the OIA to NCAA Division 1, that learning curve and jump in talent and athleticism will be a challenge. But Kamalei is athletic, and she’s been successful in both high school and club ball. Then you throw in Janelle Gong, who redshirted last year. And Rika Okino, who periodically came off the bench last season. Hawaii graduated six players last year, so they’re looking for important pieces to step in and help make 2018 a good season. She burst on the scene in her first match last year. As an 18-year-old freshman, she had 12 blocks. Unfortunately for her, she finished the season with about 30 or 31 blocks, so a third of her production came in one match. She was still relatively new to the sport, as she’s only been playing volleyball since her freshman year in high school. That middle position could really get interesting because Hawaii graduated one of the best middles in the country in Emily Magglio. I think among Sophia Howling, Sky Williams, fourth-year junior Natasha Burns, Sarah Liva and Kamelei Krug, you got four or five legitimate contenders for the two starting positions in the middle. She’s really emerged as a vocal leader for the team. There’s something about her that, when she’s on the floor, good things happen. No disrespect to Norene Iosia or Savanah Kahakai or whoever else was on the floor last year, but Faith is the kind of player, that kind of personality, that has embodied this team and the coaching staff. Coach Robyn will tell you that she loves Faith Ma‘afala. She’s going to be a player that, when the season is done and she graduates, she’s going to leave a big hole that must be filled. She can be the best setter in the Big West Conference, and, depending on how the team does, she could become an All-American by the time it’s all said and done. For her, it’s going to be all about regaining that connection with the middle. Hawaii’s lost their best offensive weapon in Emily Magglio. Norene also loses that first touch in Savanah Kahakai. A lot will depend on how Tita Akiu steps in on serve-receive. If she’s able to pass well, that will enable Norene to have all of her options. She won’t be forced to go in only direction because of a bad pass. It’s a two-team race between Hawaii and Cal Poly. There are one or two “dark horse” contenders. Cal Poly ranked 24th in the national preseason polls and is predicted to win the conference. Hawaii could be playing with a chip on their shoulder, since this is the first time since 1995 that they’re not picked to finish first in their conference. Hawaii lost both matches to Cal Poly last season; both went to five sets. The one that really hurt was the loss at home, when Hawaii was up 2 sets to none. Credit Cal Poly for coming back in that one. So there’s a really nice rivalry going on between these two teams. If Hawaii wins the conference, makes the NCAA Tournament and maybe reaches the second round. Rankings don’t mean a whole lot. I’d like to see them improve on their ability to close out [matches]. Like I said before, six of their eight losses went five sets. I’d also like to see them win against a Top 25 team here and there. They’ve got UCLA in their opening week. That’s a great opportunity to pick up a quality win outside their conference.